Razor Learning was founded in 2007 by Rob Pannoni and Grant Ricketts, two learning industry veterans who specialize in enterprise learning strategy, organizational best practices, innovative learning approaches and using technology to drive real world performance improvement. In addition to being a clearinghouse for cutting edge insights, practices and tools for learning leaders, we partner with a select group of learning experts to deliver a variety of services around learning and talent strategy, technology and programs. Rob Pannoni was co‐founder and COO of Sera Learning Technologies, a startup out of Stanford University that provided learning technology research, instructional programs and consulting to educational institutions and Fortune 500 companies. He has since led learning organizations at Mercury Interactive (now HP software), Saba, Alcatel Lucent/Genesys and InsideView. In addition to leading learning teams, Rob has conducted learning research, run profitable learning businesses, managed customer‐facing learning and support teams, provided business consulting to educational startups and designed successful learning technology platforms. Across these many roles, one constant has been a focus on understanding the complex set of factors that lead to widespread user‐adoption, high user‐engagement and real world behavior change. 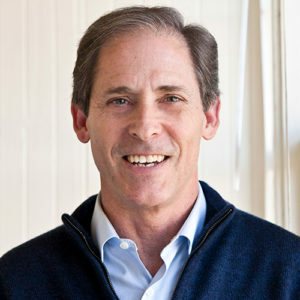 Grant Ricketts was part of the management team that founded Saba in 1997. The company had a successful IPO in April 2000 and today employs over 700 people serving over 1,200 customers worldwide. During his ten year tenure at Saba, Grant introduced Learning Governance as a discipline for the industry. He co‐authored the industry’s first white paper on the subject, “Governing the Learning Organization in an Era of Strategic Human Capital Management,” and speaks frequently on the topic at industry conferences. 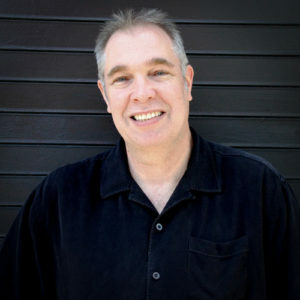 Prior to Saba, Grant worked at Sybase and Oracle, where he developed expertise around emerging internet technologies and enterprise systems planning and adoption. Having started his career in advertising, he understands the key role that marketing and communications plays in engaging people, building consensus and driving organizational change. The Razor brand stands for cutting through the hype, making complex things simple and getting to the point. Our extensive experience gives us a sixth sense for what will work under real world constraints. We promote honest partnerships in order to create programs with compelling value propositions and high engagement. We prefer research and measurable outcomes to personal opinion. We use our broad business expertise to make sure we’re not just driving learning outcomes, but solving business problems. The content of this webite is licensed under a Creative Commons Attribution-NoDerivatives 4.0 International License. Feel free to share. But please—no modifications or derivative works. And let people know where you found it.